How Agile Coaches are Like Vampires? “For the love of!! !” I bit off my oath before it could move into not safe for work territory. Resisting the urge to slam the door I walked into my office. It had been another banner day in the world of agile coaching and I was ready to collapse into my chair so I could drown my sorrows in Facebook. I did a double take as I realized my chair, heck my entire desk was occupied. With his size gargantuan feet propped up on my desk, Hogarth the Gorilla was watching a video on my monitor screen. “Hogarth, what the heck are you doing?” Only after speaking did I realize I probably didn’t want to know the answer. “Huh, what?” I was thrown by his sudden change of conversation and quickly forgot all about his misuse of my computer as I recalled my day. Tossing myself into the guest chair I sighed, “Lousy, absolutely lousy.” I started ticking off my fingers. “One of the teams is in a tailspin after a disastrous planning meeting, to which I was not invited.” I ticked my second finger, “Another team can’t get anything done in a sprint and seems to think they don’t need to do retrospectives they just need to work harder, and they won’t listen to any of my advice.” I ticked a third finger, “I held a story splitting workshop for the scrum masters and product owners, only no one showed up. Too busy they say.” I started to raise a fourth finger when Hogarth raised a hand to stop me. “You know?,” Hogarth began. I knew this lead in. His next words were going to be some brilliant epiphany that even though I’d want to deny it, he’ d be right. I just sipped my coffee, waiting for the gorilla to drop. Invited in? Hogarth was relating me to an evil creature of the night and how it couldn’t cross the threshold of your home if you didn’t invite it. As long as you didn’t invite it, it was powerless to do anything. And once again, Hogarth had hit the crux of the issue. How are Agile Coaches like Vampires? We have to be invited in. Our greatest power lies in influence. We need blood to survive. A stake through the heart destroys us. We have to be invited in: Fans of 90’s era Buffy the Vampire Slayer will know this one very well. Vampires can’t cross the threshold of your home without your permission. So long as you don’t invite them in, they are stuck outside throwing taunts and jeers at you. Whether you’re consulting or a full-time coach, if you don’t have an invitation you are not going to be effective. Something you learn in life coaching is that success requires something akin to a ‘rules of engagement’ with your client. You can’t just show up and start telling them what to do. If your coaching client doesn’t want your help, or doesn’t want it in a certain way, no amount of talking or prodding is going to make you successful. It’s the same thing for agile coaching. Even if the CEO personally hires you, and anoints you as the holy expert of agile, if you don’t get buy in from the teams, you won’t be effective at all. You can’t force yourself on the teams, you have to make yourself valuable to them. Start by asking questions, gathering feedback and observing what is happening with the teams. The act of doing this will help to build trust with your teams. You won’t be able to do anything without that trust. Our greatest power lies in influence: If you ever watched the 1990’s Dracula, with Gary Oldman and Keanu Reeves (You can be forgiven if you didn’t ), there was a big emphasis put on this aspect of a vampire’s power. And no wonder they have these power, when sunlight kills you, holy objects burn you and common garden herbs make you recoil, it’s hard to use the direct approach to get to your victims. So vampires use their mental powers to lure their victims into their deadly embrace. Like the vampire, the agile coach can’t bull their way through a transformation. In order to be effective, they need to use personality and influence. We’re talking about “soft skills” here. You know, those things that have been made fun of for the last three decades, only suddenly now people are realizing they really matter (thanks to influencers like Sinek, Pink and Gladwell). The agile coach has needs to ask what the team think instead of trying to tell them. You have to let the team find the answer, not push it in their face. We need blood to survive: Okay, bit of a stretch so stay with me. Vampires need life force to survive. They get this through the blood of their victims. Agile Coaches need energy as well, the energy of interaction. If we are locked away in a tower, with no interaction, we are not effective, we will fade away. If a motor is not used, it will stop working. Having really smart coaches sitting in some central office, writing blogs, giving remote advice and the like is a waste of good assets and won’t make your teams better. A stake through the heart destroys us: Well, yeah wouldn’t a stake through the heart kill you too? 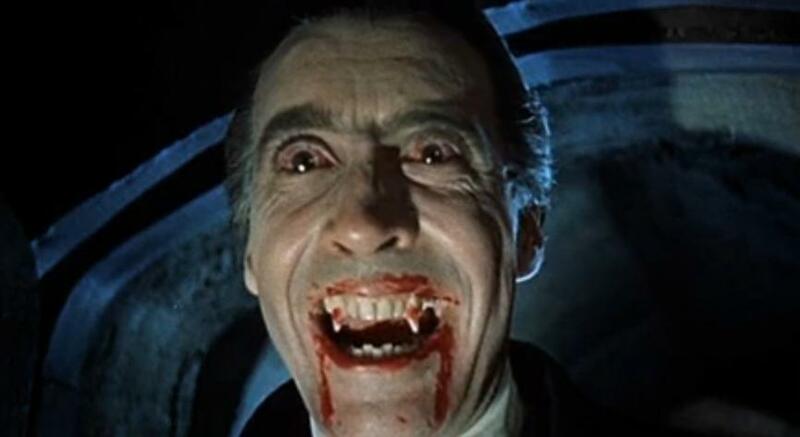 So yes, Agile Coaches are a lot like vampires. We need to look to be invited, we need to build trust with the teams, we need to be a light in the dark and we need to wear sunscreen outside. Have you invited your agile coach in lately? This entry was posted in Agile, Effective by Silverback. Bookmark the permalink. I like to use the military analogy. You need to convince the officers to give you permission, but the people who actually need convincing are the NCOs. You know them. Team leads, senior developers, SMEs. The grizzled veterans of the trenches on whom success and failure ride that wield influence disproportionate to anything in the org chart. They are often keystones in institutional memory and make the actual call of how hard the line staff pursue management’s goals. And they need to be convinced.